I bought a tandem kayak last year to cruise around the nearby lagoons. 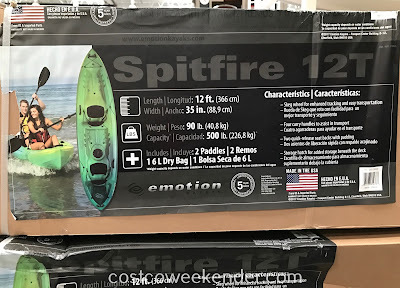 But what I like about Lifetime Emotion Spitfire 12T Tandem Kayak is the skeg wheel to help with tracking and, more importantly, to make it easier to transport. I had to buy a separate kayak cart to get the kayak from our house to the water. 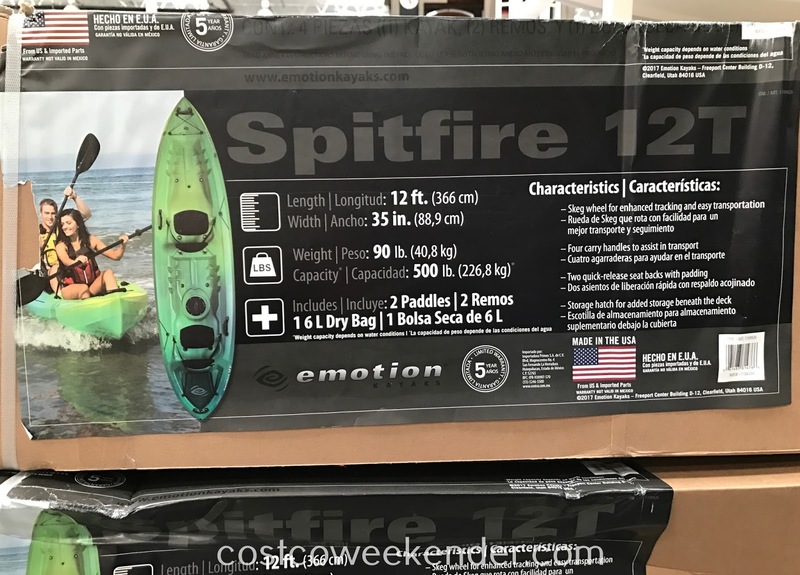 I also like that the Emotion Spitfire already comes with paddles so that's one less thing to worry about. 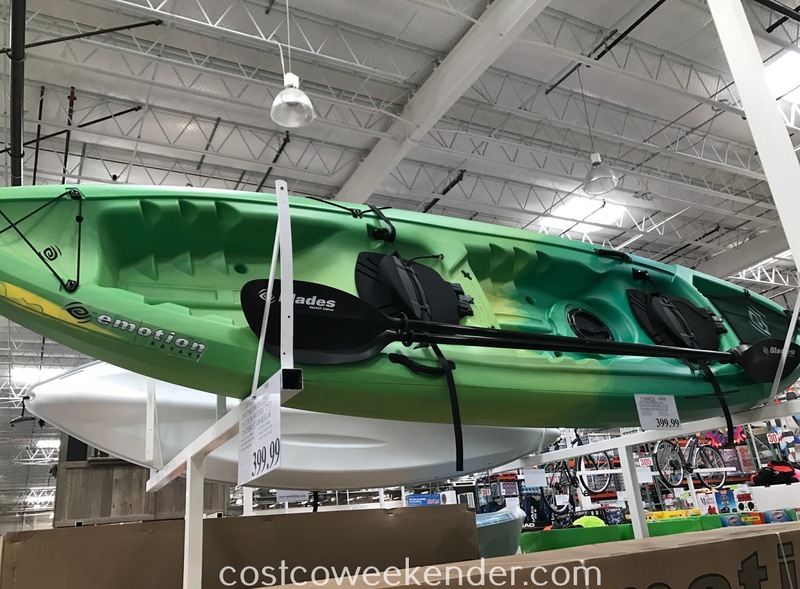 I find that 12ft is the ideal length for a tandem kayak. Anything shorter and it just feel cramped. 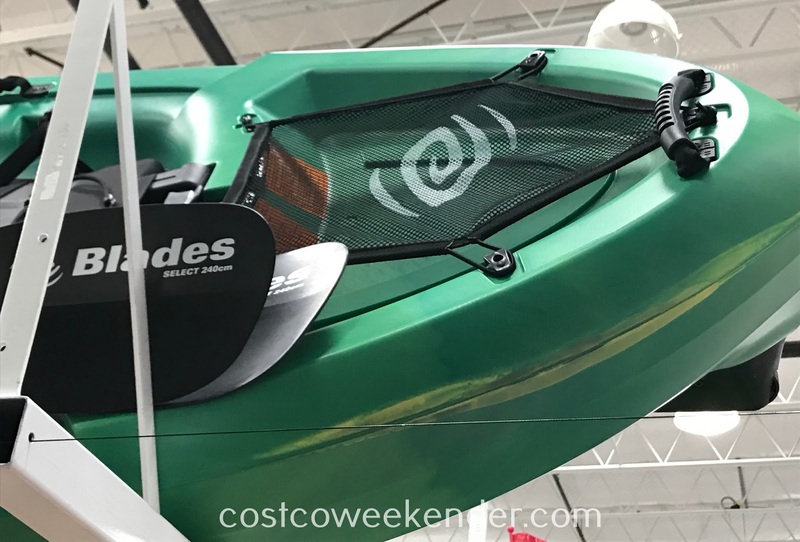 The 13.5ft tandem kayak that I have is just a tad long that it is cumbersome to transport. Now that it's almost summer, it will be boating season before you know it. 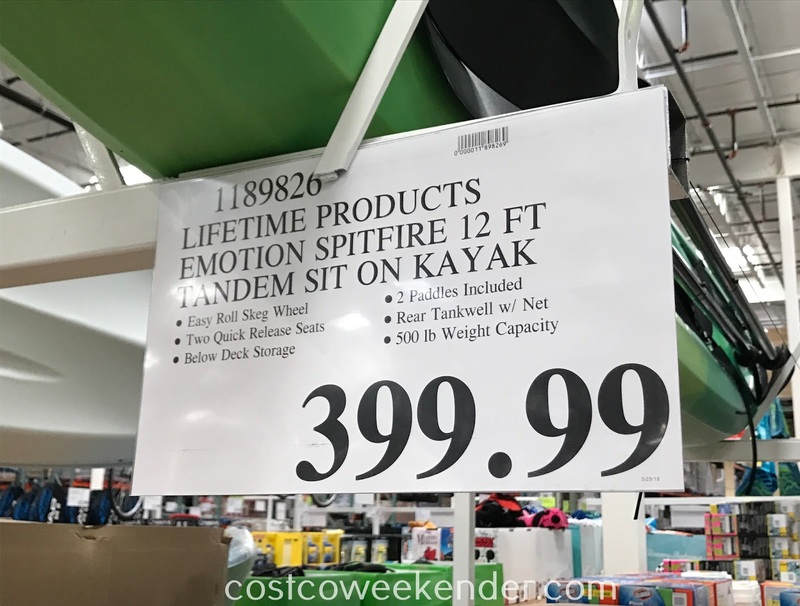 So get your water craft ready with the Lifetime Emotion Spitfire 12T Tandem Kayak from Costco.